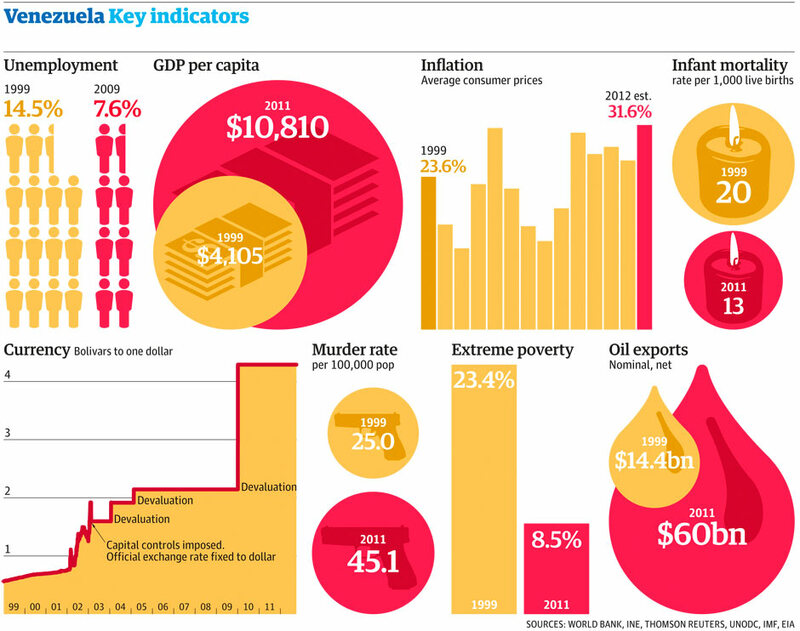 I guess Chavez could have spend some more on gun control, but in the end it looks pretty good. It's not hard to see why his country feels so grateful to him. That murder rate is a pretty big jump though, but a lot of people would gladly take that for the economic improvements.